Fairfield Office Building demonstrating slate, shingles & copper. Although they seem uncomplicated, flat roofs require a high level of craft, particularly at the edges, where they join the masonry walls. We are committed to providing first quality workmanship to our customers, serviced by our experienced professionals. 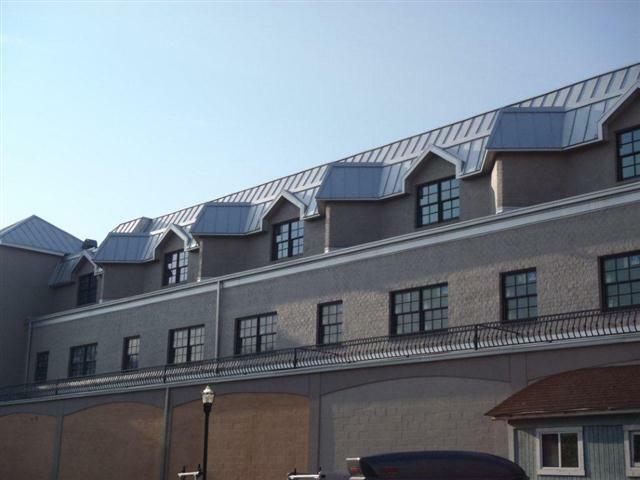 Our expertise qualifies us to support all areas of the roofing industry, including commercial, residential, industrial and institutional roofing services.